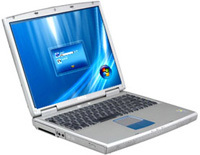 Creative IT is a Central London based laptop repair company in the UK specialising in Dell notebook repairs. We have a team of professional hardware engineers and technicians who were trained to the highest standards to offer exceptional Dell hardware and software repair solutions for Dell Inspiron, Latitude, Precision, Studio, Studio XPS, Vostro and XPS models. The long term hands-on experience of our engineers in this industry makes us experts and clients can have the self-assurance of knowing that we will troubleshoot and repair your faulty Dell notebook fast and competently saving both time and money. Creative IT provides quick, specialist and affordable Dell notebook repairs to both business and residential Dell notebook users. Step 1 – Get in touch with one of our laptop service advisors by calling 020 7237 6805 or email us at: info@creativeit.tv and inform them the symptoms of the fault. Step 4 – Clients can bring the defective laptop into our repair centre or we can arrange to collect your faulty Dell notebook computer and have it brought to our Central London service centre, for an affordable charge. Dell Notebook LCD Screen replacement: If you have problems with a damaged or cracked Dell LCD screen or if the screen does not function properly, we can assist. Creative IT can replace the broken screen for you promptly and get you up and running again in no time! We provide quality and cost effective Dell notebook LCD screen repair and replacement for Dell Inspiron, Latitude, Precision, Studio, Studio XPS, Vostro and XPS models. Dell Notebook Keyboard Replacement: Do you have a Dell notebook that has damaged, sticky or defective keyboard keys? Our experienced technicians can replace the not working keys or even the keyboard with a high quality new one. Dell Notebook Hard Disk Replacement: Has your Dell notebook hard disk drive experienced a hard drive crash or is your hard disk faulty and failed? At Creative IT, our technicians are experienced in troubleshooting hard disk problems and can easily install a new hard drive. Dell Notebook Hard Disk Upgrade: We have a good stock of high performance hard drives from IBM, Maxtor, Seagate, Fujitsu, Hitachi, Western Digital and Samsung for all your Dell notebook computer hard drive upgrade requirements. Dell Notebook Optical Drive Replacement: Do you have an out of order Optical drive or do you presently want to upgrade your CD-ROM drive in your Dell notebook with a latest DVD / CD-RW Combo Drive? We can offer you the perfect CD, CD-RW, DVD and DVD Combo Drive replacement solution! Dell Notebook Memory (RAM) Upgrade: Do you require increasing the memory in your Dell notebook to enhance the performance? Contact Creative IT now and we can offer reasonably priced DDR, DDR2 and DDR3 memory upgrade services for your Dell notebook. Dell Notebook Graphics Card Replacement: Want to replace your outdated graphics card as a result of low performance? Come to us and we will offer you exceptional graphics card replacement services to enjoy the hottest games and experience lightning fast video and image processing. Dell Notebook Motherboard Repair and Replacement: Our Dell notebook repair technicians and engineers are competent to carry out board level and component level repair on all Dell notebook motherboards. We also offer motherboard replacement services in situations where a repair solution is not a feasible option. Dell Notebook Power Jack Repair and Replacement: Do you experience issues as a result of a failed or loose DC power jack on your Dell notebook? We can offer specialist power jack repair services. Incase resoldering the faulty power jack cannot resolve the issue or if the power jack is beyond repair, we can offer power jack replacement services while you wait. Dell Notebook Inverter Repair and Replacement: Experiencing backlight problems or discolored or very dim image on your Dell notebook? Our Dell notebook repair engineers can provide you a practical repair solution or else replace the defective LCD Inverter with a brand new one. Dell Notebook Data Recovery and Data Transfer: We offer dedicated hard drive recovery services to quickly recover your critical data from failed Dell notebook hard drives and from all storage media. Dell Notebook Operating System Install: Has your current operating system crashed and need it to be reinstalled or do you wish to install a latest operating system such as Windows 7? Contact us straightaway. Viruses, Trojan and Spyware Removal: Our experts will scan your infected Dell notebook and assist with removal of trojan, spyware, virus and malware infections.